When will the number of neurons in AI systems equal the human brain? Based on fitting to historical data and extrapolation, when is it expected that the number of neurons in AI systems will equal those of the human brain? I'm interested in a possible direct replication of the human brain, which will need equal numbers of neurons. Of course, this assumes neurons which are equally capable as their biological counterparts, which development may happen at a faster or slower rate than the quantitative increase. 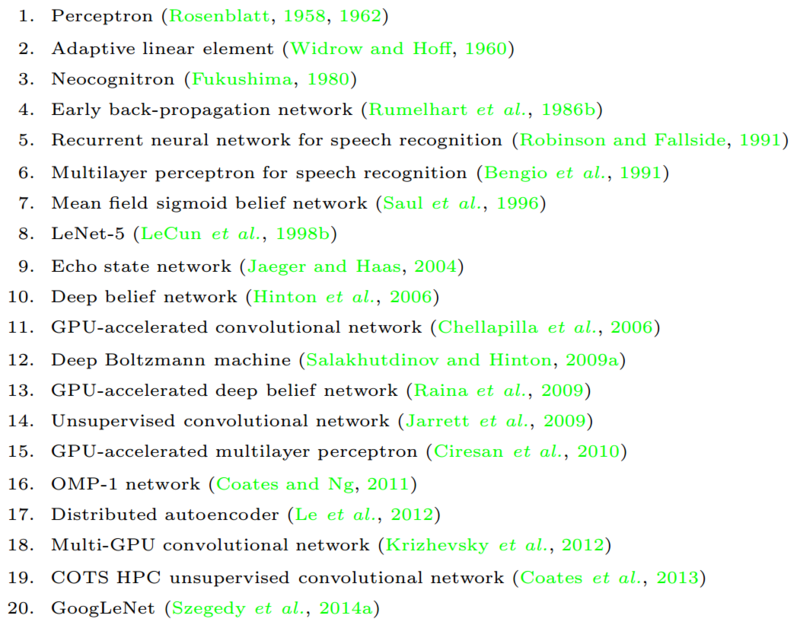 The number of neurons in AI systems is a little tricky to calculate, Neural Networks and Deep Learning are 2 current AI systems as you call them, specifics are hard to come by (If someone has them please share), but data on parameters do exist, parameters are more analogous to synapses (connections) than neurons (the nodes in between connections) somewhere in the range of 100-160 billion is the current upper number for specialized networks. equal those of the human brain? So now let's look at the brain, and again this are all contested numbers. Number of neurons ~ 86 Billion, Number of Synapses ~ 150 Trillion, another generalization: average number of synapses per neuron ~ 1,744. So, if all this made sense to you, somewhere around the year 2035. Soon enough but that doesn't mean anything at all. In machine learning the word neuron represents a calculation whereas in brain the word neuron represent a specific type of cell which is a biochemical system. I question the blue fit line, as it seems that data points may be better described by a parabolic or exponential function. In any case, based upon this conservative linear fit, the authors predict that the number of neurons in a ANN will equal that of the human brain in 2056. What is interesting to note that when The Singularity is Near was written in 2006, Ray Kurzweil said that the refractory period of a biological neuron was already 1,000,000 times slower than that of an artificial one. While interesting, this is all rendered somewhat moot if you think about what will happen once we understand how the brain works. After all, once we understood flight, we didn't start making birds. The same goes for AI. Here are just a few ways in which human brains and digital brains can't be compared. The digital brain won't have to worry about food and drink. They will also be more reliable (or less redundant) as electronics is way more reliable than neurons (a guess). Digital brains will also be able to share learning and information. Once one Model 3X digital brain has learned something, the others need merely to have the bits uploaded. Sure, it will be more complicated than that but, remember, we will know how it all works so merging the experiences of one digital being with another should be doable. If we want our digital brain to have symbolic algebra ability, we will have to teach it some things but we can also hard-wire it to Mathematica or the like. In short, it will be like apples and oranges. The human brain contains billions of neurons, which means we won't be making one tomorrow. However, technology tends to advance in an exponential manner, and that may soon be a real possibility. Also, the idea of making an artificial human brain would not only take more neurons than a current average computer could process, or we could make outside of computers, but we also need an understanding of the human brain. There is only one animal with neurons that we have completed a full connectome of and that is the Caenorhabditis elegans (roundworm) and it has less than 500 neurons. It may be a while before we actually make a human brain, but within 30 years is a reasonable estimation with the rate that technology improves now. Not the answer you're looking for? Browse other questions tagged neurons prediction or ask your own question. Why are deep neural networks and deep learning insufficient to achieve general intelligence? When will artificial intelligence equal human intelligence? How to find the optimal number of neurons per layer? Do we know what the units of neural networks will do before we train them? Is the singularity concept mathematically flawed?